Are we facebook friends?? 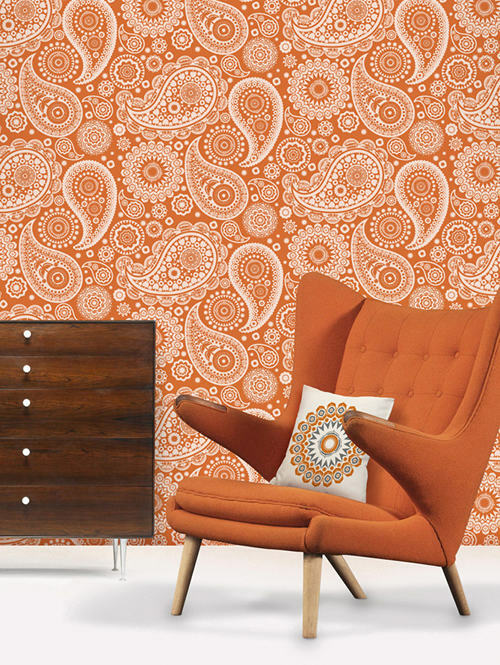 If so, you may have seen the new graphic wallpaper that Jaymi has in her office. We fell in love and it inspired us to find these fun and colorful options. Only problem is, we can’t pick just one! Which is your favorite? 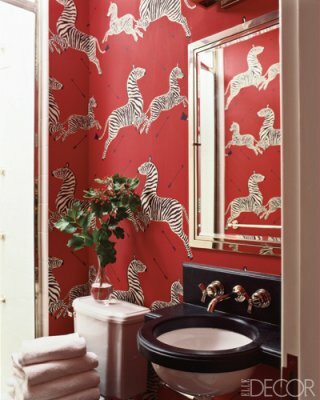 Yes, TWO zebra wallpaper choices… who knew!? Polka dot and bold stripe + gold modern desk = fab office. Wouldn’t that make you want to wake up and work in there!? Or, if you’re faint on commitment, try a single wall of paper. This can also save some money too! 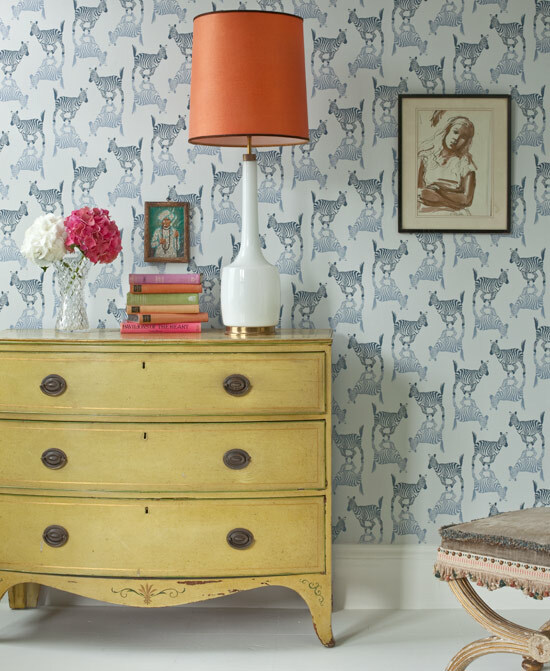 Love that wallpaper is making such a dramatic and strong comeback!!! Love graphic wallpaper, but don’t know how I’d feel about it in the bedroom where I am supposed to find peace and tranquility. I prefer solid colors when it comes to such intimate rooms, but for more social spaces I think it’s an awesome idea! 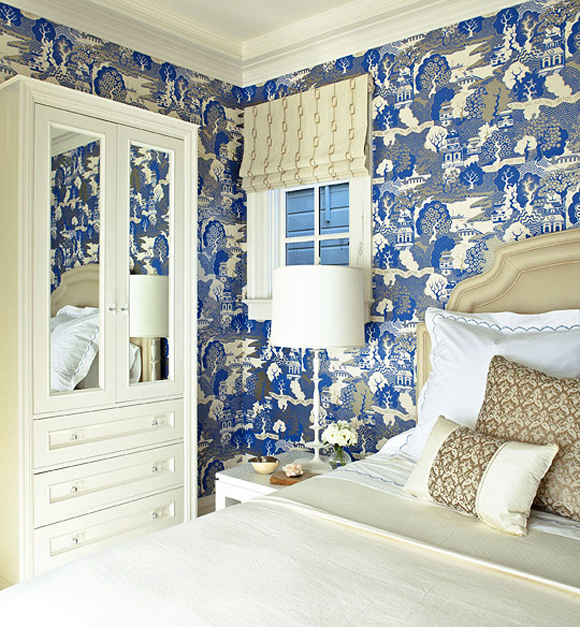 Can you wallpaper one wall in a bedroom? Or is that not in style anymore? Yes! We’re seeing that done a lot lately. 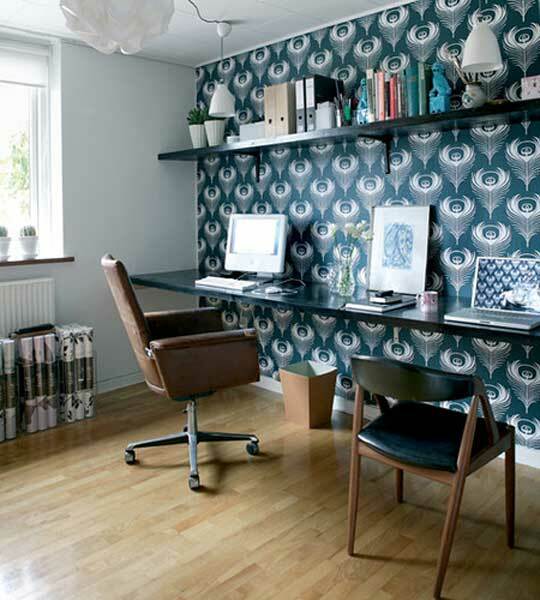 Especially for busier patterns or those who are averse to four walls of pattern. Its a great way to save money too. I love all of your selections. Wallpaper is so much fun to use!